“Dragons, Nagas, and Creatures of the Deep,” at The Textile Museum, Washington, D.C. ( February 3– January 6, 2013). 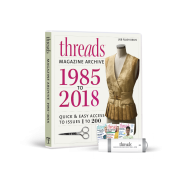 No matter what type of sewing you like to do—garment, quilting, home dec—or what era or aspect of fashion history thrills you, there’s a workshop, retreat, conference, or museum exhibit for you. Be sure to put these events, workshops, and exhibitions on your 2012 calendar. “Dragons, Nagas, and Creatures of the Deep,” at The Textile Museum, Washington, D.C. ( February 3– January 6, 2013). 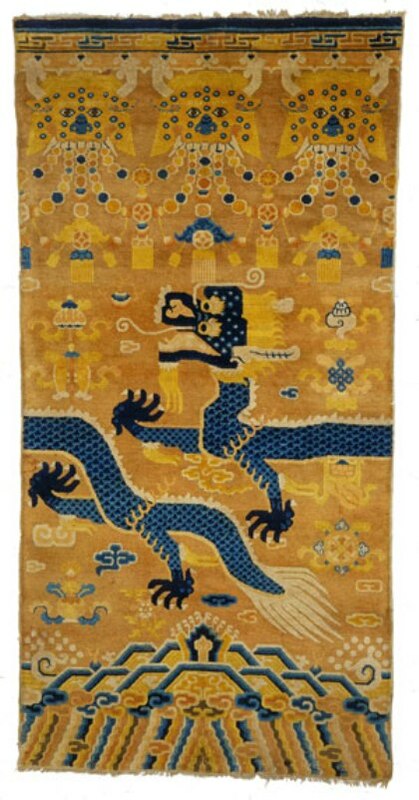 A global selection of textiles, dating from the 12th through the 20th centuries, featuring dragons and other legendary serpent-like creatures, revealing their legends and mythical associations with fertility, water, and divinity. Drawn from the museum’s permanent collection. TextileMuseum.org. “Sustainable Fashion: Exploring the Paradox,” at The Museum at Kent State University, Kent, Ohio (through March 18). A comprehensive inquiry into the fashion industry’s environmental impact and how some fashion designers are developing sustainable practices and solutions to the industry’s environmental issues. www.Kent.edu/museum. “Sourcing the Museum” exhibition opens at The Textile Museum, Washington, D.C. (March 23 – August 19). Twelve contemporary artists drew inspiration from the museum’s permanent collection to create new artworks, which will be displayed alongside the original textiles. TextileMuseum.org. “Woven Treasures of Japan’s Tawaraya Workshop,” The Textile Museum, Washington, D.C. (March 23 – August 12). 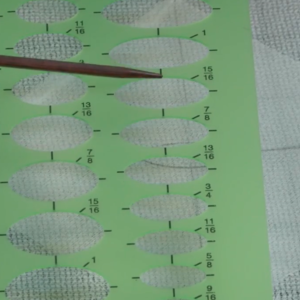 Features many silk textiles produced by the Tawaraya workshop, one of the oldest and most prestigious silk-weaving workshops in Kyoto’s famed Nishijin neighborhood. Kimono, screens, and other colorful silks demonstrate Tawaraya’s technical and aesthetic mastery of its trade. TextileMuseum.org. “20th Annual Art of Motion Picture Costume Design” exhibition, FIDM Museum & Galleries, Los Angeles, California (through April 28). This annual exhibition features costumes from more than 20 movies released in 2011, including the Academy Award-winner for Best Costume Design Alice in Wonderland. Admission is free! FIDMMuseum.org. “CUT! Costume and the Cinema,” at the Durham Museum, Omaha, Nebraska (through April 29). A traveling exhibition of 40 period costumes from 27 popular movies, exploring the art of making costumes for film. The films represented in the exhibition portray 500 years of history, drama, and comedy. DurhamMuseum.org. Sew Much Fun Northwest tour (May 1-6). 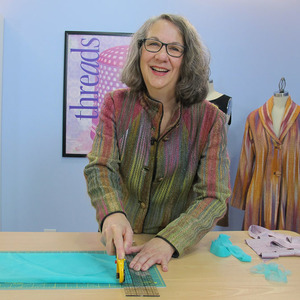 Join Linda Griepentrog and Pauline Richards for a fabric and sewing-related shopping tour of Portland, Oregon, and nearby areas, along with educational opportunities. 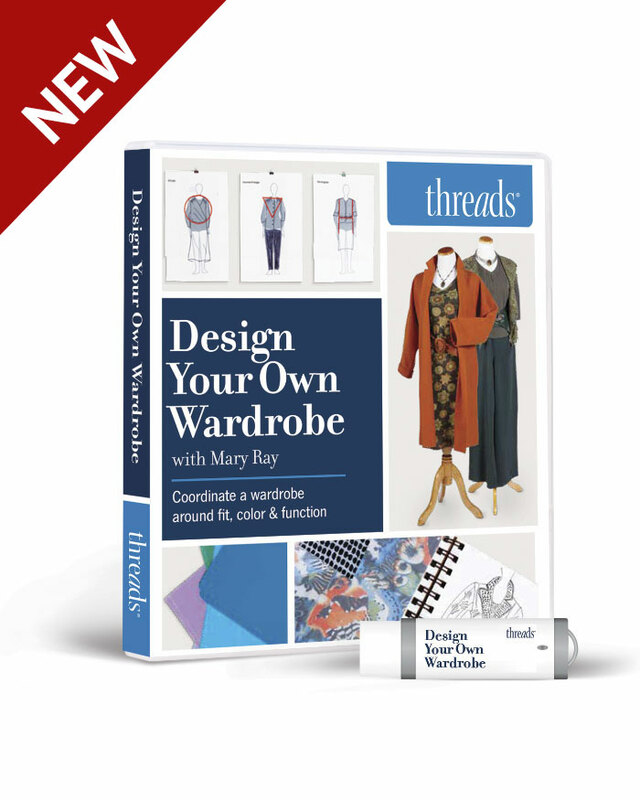 Cost: $1,425 (American Sewing Guild members); $1,525 (non-ASG members). ASG.org. ParisTilton: The Left Bank Tour, Paris, France (May 6 – 14). Hosted and led by Marcy and Katherine Tilton, this is a new take on the traditional ParisTilton tour. It focuses not only on design, fashion, textiles, and art, but also experiencing the Left Bank like a Parisian and exploring the city with an artful eye. Marcy and Katherine share their favorite places, sources, and secrets. Cost: $5,595 (double occupancy). MarcyTilton.com. “Fashion, A-Z: Highlights from the Collection of The Museum at FIT, Part One,” The Museum at FIT, New York City (through May 8). The first of two consecutive exhibitions drawing on the Museum at FIT’s vast collection of designer garments and accessories. 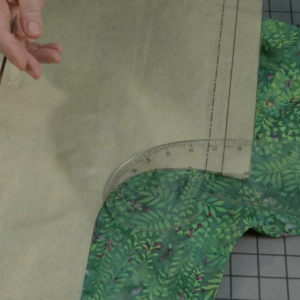 Part one features approximately 50 garments from many of the 20th and 21st centuries’ most important designers, including several new acquisitions. FITNYC.edu/Museum. “Elsa Schiaparelli and Miuccia Prada: On Fashion,” The Costume Institute of the Metropolitan Museum of Art, New York City (May 10 – August 19). Explores the affinities between the work of these two Italian designers from different eras. Fictive conversations between the designers, created for the exhibition, suggest new interpretations of their work. MetMuseum.org. Sew Much Fun New York tour (May 20-26). Go behind the scenes in New York City’s fashion district with Marsha McClintock and Marla Kazell. View museum collections, tour McCall’s Patterns, shop for fabric and trims, see costumes from a hit Broadway musical, and more. Cost: $2,395 based on double occupancy (ASG members); $2,495 (non-ASG members). ASG.org. The 38th Costume Society of America Annual Symposium, Atlanta, Georgia (May 31 – June 2). Themed “Dress scholarship in the 21st Century,” the symposium offers insights into a variety of research topics on global dress, fashion, and costume. CostumeSocietyAmerica.com. “The Art of the Anatolian Kilim: Highlights from the McCoy Jones Collection,” Fine Arts Museums of San Francisco’s de Young Museum, San Francisco, California (through June 10). An exhibition of two dozen examples of Anatolian kilims dating from the 15th to the 19th century and displaying a variety of regional styles and design types. DeYoung.FAMSF.org. “Homefront & Battlefield: The Civil War Through Quilts and Context” exhibition opens at the American Textile History Museum, Lowell, Massachusetts (July – November). Approximately 150 quilts, textiles, and other artifacts help connect personal stories about the Civil War, its causes, and its aftermath with the broader national context. ATHM.org. April 12-14—DCU Center, Worcester, Massachusetts. 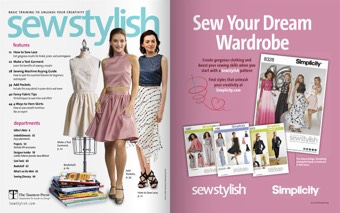 The Sewing and Stitchery Expo, Puyallup, Washington (March 1-4). 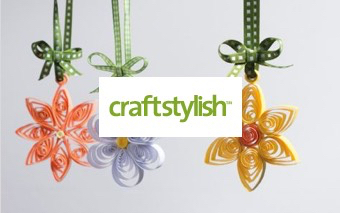 Offers more than 100 educational seminars and workshops for sewers and quilters and 400-plus exhibitors and venders, several style shows, and free demos. SewExpo.com. Moulage workshop with Kenneth D. King. Janie’s Sewing Corner, Cleveland, Ohio (April 20-22). 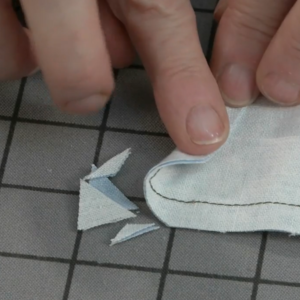 Kenneth will instruct students in the creation of a moulage—the foundation of the couture pattern drafting system. Cost: $500. JaniesSewingCorner.com. Nancy’s Notions Sewing Weekend, Beaver Dam, Wisconsin (May 3-5). 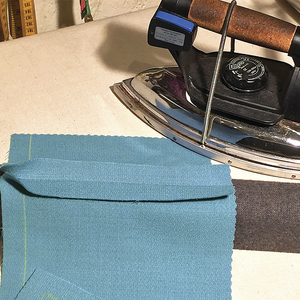 Three days of sewing instruction, seminars, shopping, and hands-on projects at Nancy’s Notions. NancysNotions.com. Conference of Northern California Handweavers, Oakland, California (May 18-20). Offers classes and workshops in a variety of disciplines and techniques, including weaving, spinning, dyeing, felting, basketry, braiding, and more. A marketplace of sewing vendors will be onsite with their wares. The program also includes a fashion show, fiber artist galleries, and exhibitions. CNCH.org. Palmer/Pletsch East Fit Workshop, King of Prussia, Pennsylvania (June 7-10). 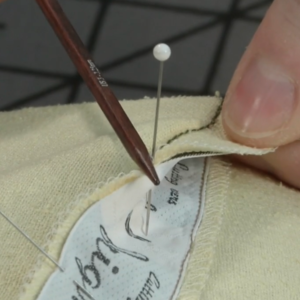 Taught by Palmer/Pletsch Certified sewing instructor Pamela Leggett, the four-day Fit workshop teaches fitting techniques and provides each participant with a personal body map they can use to alter fashion patterns. PalmerPletsch.com. Design Outside the Lines retreat with Marcy Tilton and Diane Ericson, Sisters, Oregon (June 17-21). A four-day workshop for sewers and fiber artists of all skill levels offering a combination of classes and hands-on studio time. Location: 5 Pine Lodge, Sisters, Oregon. Cost: $1,645. MarcyTilton.com. TNNA Summer NeedleArts Market, Columbus, Ohio (June 23-25). 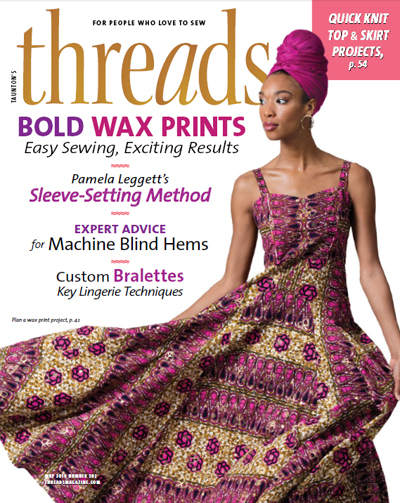 The National NeedleArts Association’s summer tradeshow for needle art professionals offers classes and seminars, direct access to suppliers and designers, networking opportunities, and the latest trends. TNNA.org. 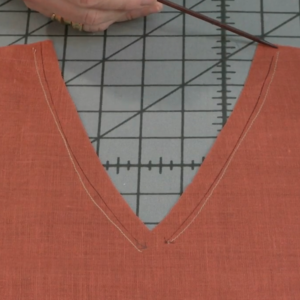 Palmer/Pletsch Be Your Own Designer – Pattern Drafting, Portland, Oregon (July 5-9). 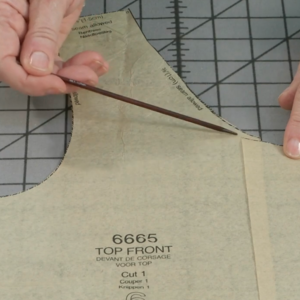 Learn how to draft your own bodice, sleeve, and skirt block and tissue fit it to perfection, and practice flat pattern drafting at half scale. PalmerPletsch.com. 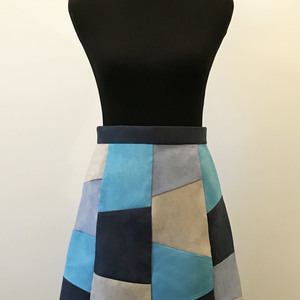 Sandra Betzina’s San Francisco Sewing Retreat (July 15-22). 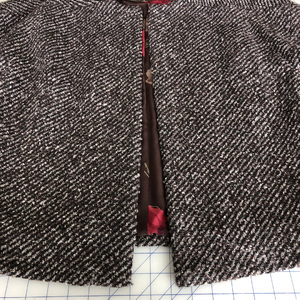 Five full seminar days focused on pattern selection for figure flattery, a personal fit formula, pattern alteration, and more. Stay at the Marine’s Memorial Club in San Francisco. Cost: $2,440 – $3,100. 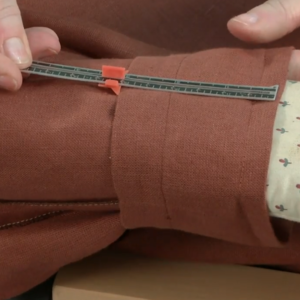 PowerSewing.com. 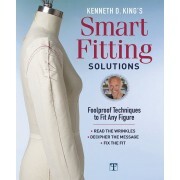 Sit-and-Sew with Susan Khalje and Kenneth D. King (August 2-5). 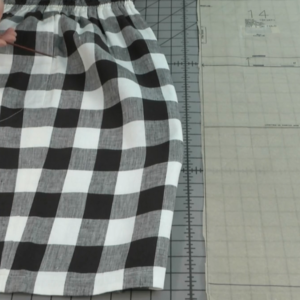 Susan and Kenneth share their expertise on fit, pattern alteration, tailoring and couture construction, and design over four days in Manhattan. Class size is limited to 15 students, so register early. Cost: $750. 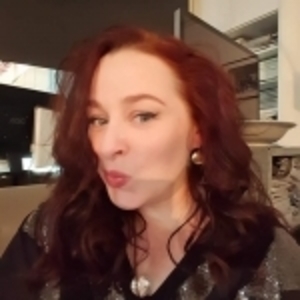 SusanKhalje.com. American Sewing Guild Annual Conference, Houston, Texas (August 16 – 20). 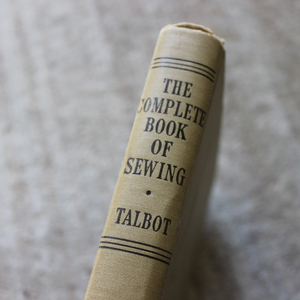 Workshops, seminars, and lectures tailored to a wide variety of sewing interests and every level of sewing skill. The vendor hall is not to be missed! Cost: $475 (members); $575 (non-members) until July 2. ASG.org. “Fashion, A-Z: Highlights from the Collection of The Museum at FIT, Part One,” The Museum at FIT, New York City (through May 8). “The Art of the Anatolian Kilim: Highlights from the McCoy Jones Collection,” Fine Arts Museums of San Francisco’s de Young Museum, San Francisco, California (through June 10). The Sewing & Stitchery Expo 2012, Puyallup, Washington (March 1-4). Can hardly wait for the Sewing and Stitchery Expo, March 1-4th. I've been to every one except the first one. Love it!!! For those who will be in Paris February 9 - 12, the annual stitching fair is on then .It's called L'aiguille en Fete and well worth a visit .